World Translation Center supplies professional Rwandan translation services for English to Rwandan and Rwandan to English. We can also translate Rwandan to and from over 150 other languages, including all the major languages of Europe, Asia, South America, the Middle East and many African languages, at affordable prices. Our Rwandan experts will be able to provide translation for virtually any project you might have, including marketing materials, technical, financial, legal and medical documents, websites and software. Our professional project managers will match your project with a translator team appropriate for the area of expertise needed. Each linguist works solely in his or her own mother tongue and within his or her area of expertise insuring not only top quality translation, but proper localization too. After each document is translated, it will be edited and proofread by a second professional translator to guarantee highest quality. We also render transcription, video recording and subtitling services. In the event that you need to have an existing video dubbed, a commercial narrated or a telephone system recorded, our native Rwandan speakers are available to supply high quality voiceover services. Rwanda, officially the Republic of Rwanda, is a sovereign state in central and east Africa. "The land of a Thousand Hills", Rwanda is a green undulating landscape of hills, gardens and tea plantations. 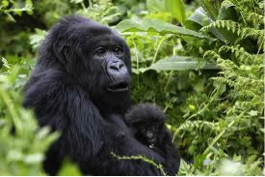 It is home to one third of the world remaining mountain gorillas, one third of Africa's bird species, volcanoes, and islands on the expansive lake Kivu. It remains one of only two countries in which mountain gorillas can be visited safely; gorilla tracking, in the Volcanoes National Park, attracts thousands of visitors per year. 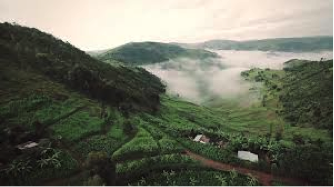 Kinyarwanda, also known as Rwanda or Rwandan, a Bantu language, is one of the official languages along with French and English of Rwanda and is spoken by almost all of the native population. It is mutually intelligible with Kirundi, spoken mainly in neighboring Burundi. It can also be found in the Democratic Republic of the Congo and in parts of Uganda. The right greeting is quite important to the people of Rwanda. They value graciousness and hospitality much more than we do in our culture. It will leave a big impression if you learn a few phrases and greet people in their native language; this shows respect to their heritage and culture. A standardized spelling system for Kinyarwanda has been in use since the 1940s, though the spelling used by Roman Catholic and Protestant missions differ somewhat.